Kalaripayattu develops the body and mind through a powerful flowing practice. It is a comprehensive system that was originally designed to create an expert warrior. The world has long found inspiration and guidance in India’s culture, traditions, arts, sciences, wisdom and way of life. One of the ways of life in Kerala, along India’s south-western coast, is through the ancient martial art form Kalaripayattu. 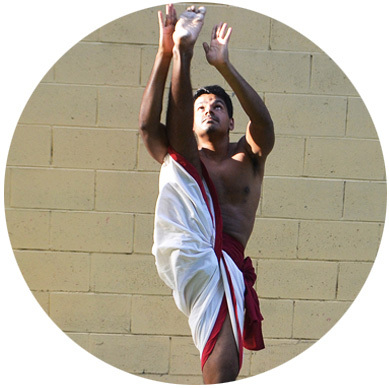 Australian School of Kalaripayattu is dedicated to teaching and sharing this warrior tradition. We aim to impart the true depth of this martial art and preserve the great legacy of Kerala’s warriors. Kalaripayattu can be learned at any age and any ability under the guidance of a Master. It’s a step by step process where the student learns to achieve new levels of movement and technique, gradually increasing in challenge and complexity. New students are welcome to join our classes. You can see if Kalaripayattu is for you by attending a free trial class, or coming to watch a class first. See our Getting Started page for answers to questions people often ask when they come to training for the first time. Kalari Chikitsa is an ancient system of musculoskeletal treatments. 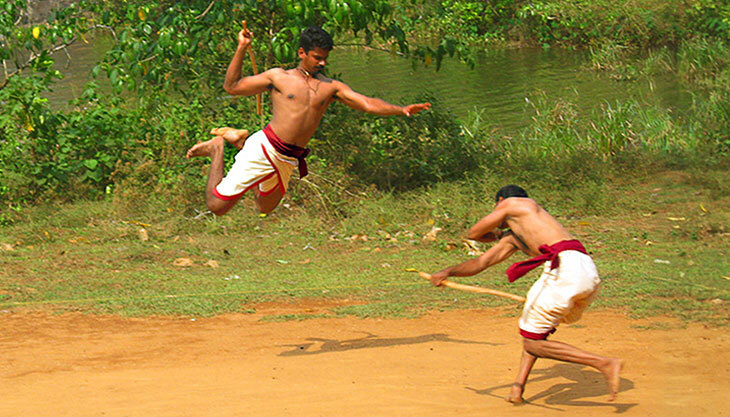 Originating in Kerala in Southern India, Kalari Chikitsa was developed to benefit the warriors of Kalaripayattu. The techniques that were used to treat the ancient warriors are also highly effective in the treatment of modern day aches, pains and injuries. Everyone is welcome to learn Kalaripayattu at our school. Our students are adults, children, families, yoga practitioners, martial artists, dancers, fitness enthusiasts, health professionals, office workers, engineers etc. 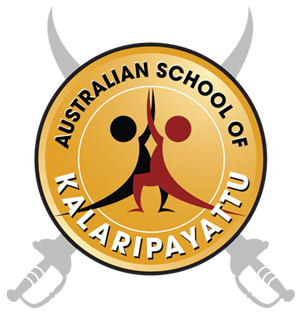 Australian School of Kalaripayattu is the only place that I know of in Australia that promotes Kalaripayattu and Kalari Chikitsa in its true essence. It’s wonderful that this ancient Indian martial arts practice and healing techniques are being preserved and imparted onto us, as it offers many benefits to the modern life. I found Kalaripayattu to be a great way to train your strength both physically and mentally. It definitely increases flexibility, balance and endurance. In addition, being a dancer, I found the Kalari Chikitsa treatment to be very effective in managing a knee injury. It has assisted greatly in managing pain and mobility and has enabled me to continue dancing. I’ve enjoyed practising Kalaripayattu for the last two years. It was one of my childhood passions and I am very fortunate to have a teacher like you to teach this ancient martial art. It has helped me to focus my energies, improve my stamina and flexibility. 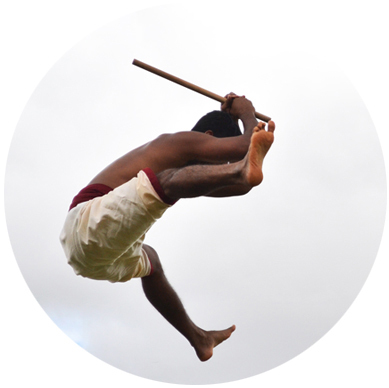 Australian School of Kalaripayattu is dedicated to teaching and sharing the warrior tradition of Kalaripayattu. We aim to impart the true depth of this martial art and preserve the great legacy of Kerala’s warriors.